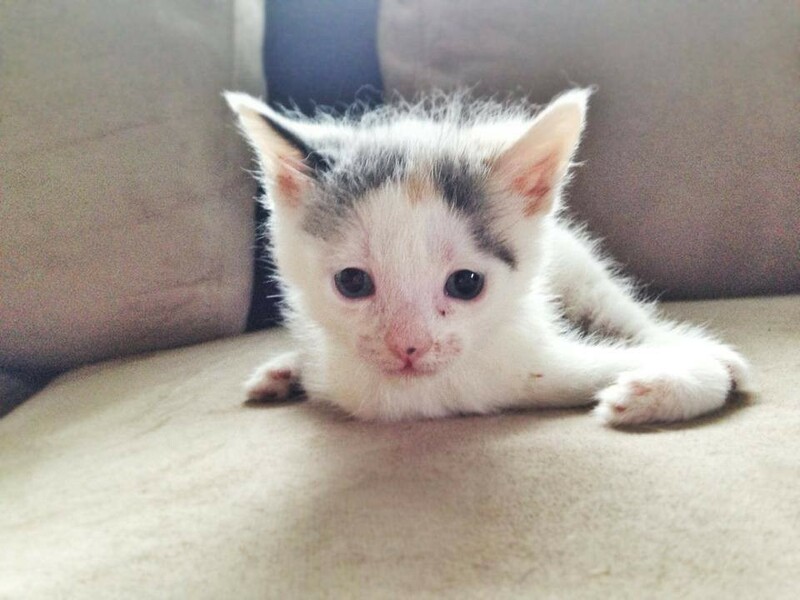 Two weeks ago we introduced Cat Friday readers to Wasabi-Chan, the tiny kitten from Japan who survived a horrific crow attack and is just so darn cute you can't look at her without squealing (we can't, anyway). This week, we're excited to introduce readers to the latest cute-as-all-get-out kitten to make herself known on the Interwebs and who, like Wasabi-Chan, also has a special circumstance: Saltwater Taffy. Photo from Taffy's Facebook, dated July 12. Little Taffy and her siblings, two orange tabby brothers named Caramel Cornelius and Rudy Beer Float, live in Philadelphia and were rescued from a backyard in the dark of night. Because of the lack of light, it wasn't discovered until the next morning that Taffy was different — her two front legs were bent inward at the halfway point in an "L" shape. The veterinarians who checked out the tiny kitten think it's the result of a birth deformity, and that Taffy is likely missing bones in her legs and has contractured, or shortened, tendons. Because of the shape of her front legs, Taffy's foster family has affectionately bestowed upon her the nickname "lobster-claw kitty." Taffy loves to snuggle with her brothers. Taffy and her brothers wouldn't have survived on their own for much longer had they not been found when they were. 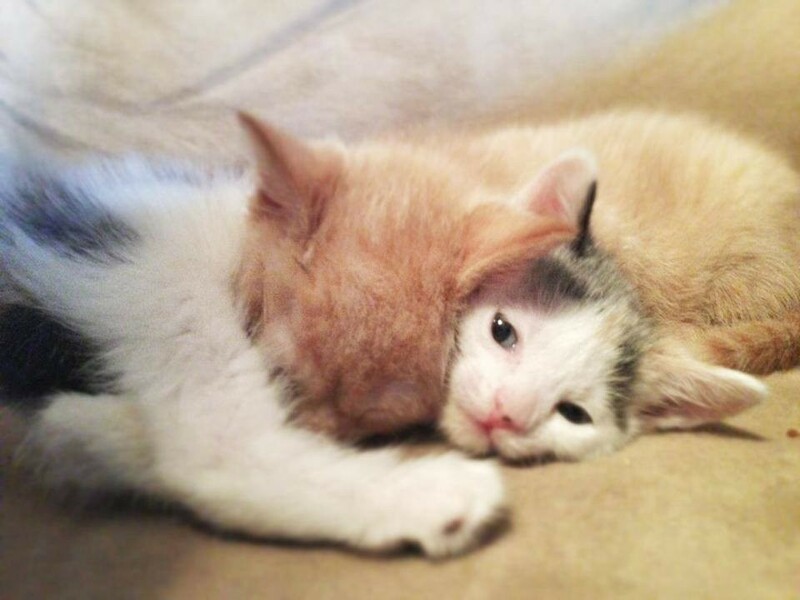 Despite their early plight in life, the three kittens are lucky and very loved. Taffy's foster home has also set up a fundraising account to help pay for her veterinary care, including X-rays and an orthopedic consultation. So far, Taffy has received more than $3,500 in donations toward her care! For now, Taffy's foster parents are doing some at-home physical therapy to help strengthen her legs, by holding up her body with an improvised sling as she walks. Taffy still gets around on her own by scooting/crawling, but she mostly prefers to be carried or held, according to her foster mom. See how Taffy gets around in this video from her Facebook page, where you can follow her latest updates and see more adorable photos. FDA announces final standard for foods labeled "gluten-free"
How "immobile" are older mobile homes?